Car entertainment and its aspects have become increasingly popular especially when it is becoming smart. Maps integrations, apps connectivity and more can be seen inside the car. We caught up with Mr Pranshu Gupta, founder of Trak N Tell to tell us more about the new device Intelli play that has just come out of his tech stable. 1) What was the idea/inspiration behind making Intelli Play? I wanted to make a “connected car” option for the mass market cars in India. Currently, only the premium cars have that option. It is also observed that most people globally first spend on entertainment and convenience and then on security. By combining infotainment with telematics, we can now offer a built-in security feature when people opt to upgrade their in-car entertainment systems. 2) Who is the target audience of Intelli Play and can you elaborate its features? We will be launching the product in the automotive after-market with a special focus on cars in the 5L and upwards category. Intelli Play is a communication technology system that allows for seamless media-play, voice and data connectivity, which collectively grants its users comprehensive and round-the-clock access to their vehicles. 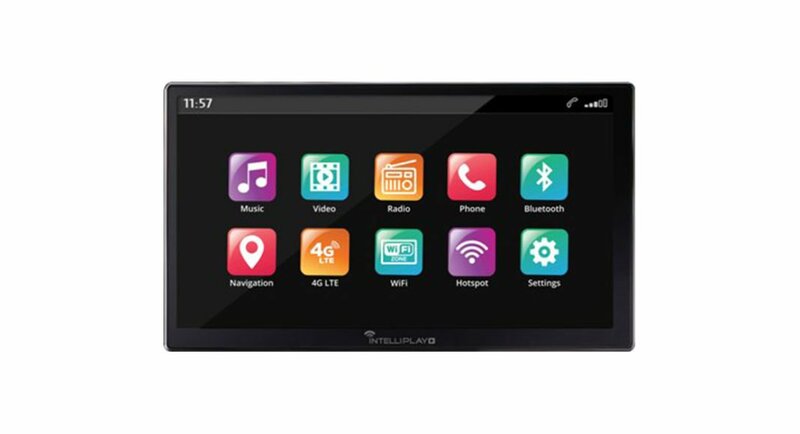 Loaded with a 7-inch HD touchscreen, the double DIN car infotainment system supports popular media formats including MP3, WAV, MP4, AVI, and WMV. The audio system can play audio and video media through the auxiliary port (aux cable), USB and through Bluetooth. The system also enables hands-free calling, as well as Google Maps-based real-time navigation. However, the trendy AV system is just the tip of the iceberg. The system is fully-loaded with security features such as real-time tracker, network-agnostic two-way calling and eavesdropping feature (a popular requirement in the logistics industry), a 4G Wi-Fi hotspot, built-in odometer, onboard flash memory, and an in-built battery backup. Intelli Play features reverse camera and dash camera support (non-inclusive of cameras), which can enable vehicle owners to see exactly what is happening around their vehicle – even from miles away. 3) What is next after Intelli Play, will you add more features to it? We will be offering variants with different screen sizes and qualities (for example, high definition scratch-proof screens). Beyond that, there are other products in the pipeline for which we’re in the midst of filing patents and can not disclose at this time. 4) What is your current revenue model of Intelli Play and would you be expanding to other countries as well? At the time of launch, we will be focusing purely on product sales. In the next phase, we will start offering services that our customers can subscribe. We are also in talks with international brands for launching in other counties.